Using the Star Wars missile defense program as a magnifying glass on his presidency, Pulitzer Prize-winning journalist Frances FitzGerald gives us a wholly original portrait of Ronald Reagan. Drawing on extensive research, FitzGerald shows how Reagan managed to get billions in funding for a program that was technologically impossible by exploiting the fears of the American public. The Reagan who emerges from FitzGerald's book was a gifted politician with a deep understanding of the national psyche, and an executive almost totally disengaged from the policies of his administration. 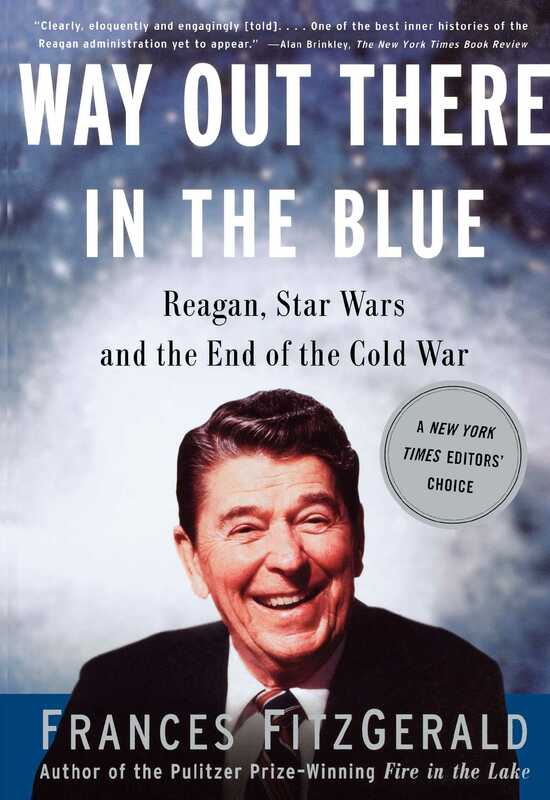 Both appalling and funny, Way Out There in the Blue is the most penetrating study of Reagan's presidency to date. Alan Brinkley The New York Times Book Review Clearly, eloquently and engagingly [told]...One of the best inner histories of the Reagan administration yet to appear. David M. Shribman The Boston Globe One of the most imaginative chronicles of Ronald Reagan's presidency. James Hershberg Chicago Tribune A devastating picture of the disarray, drift and acrimonious division that frequently characterized the administration...A significant contribution to the simmering argument...over the meaning and conduct of his presidency.